Washington’s many art galleries and museums are in full swing this summer, with a lot of new exhibitions to see before fall. The Newseum (555 Pennsylvania Ave., N.W.) commemorates the 50th anniversary of the assassination of John F. Kennedy all summer through Jan. 5, 2014 with two new exhibits and an original documentary film. 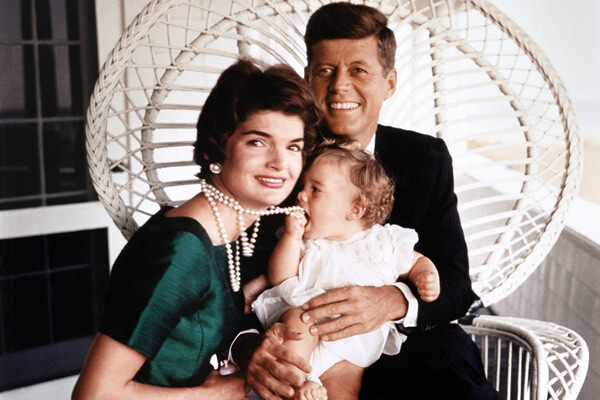 “Creating Camelot: The Kennedy Photography of Jacques Lowe,” features intimate and iconic images of the Kennedy family. “Three Shots Were Fired” is the Newseum’s summer exhibition that examines Kennedy’s assassination through film footage, and also displays items belonging to Lee Harvey Oswald that have never been displayed. “A Thousand Days” is the Newseum-produced film that documents Kennedy’s presidency. Tickets to the Newseum are $21.95. For more information on the JFK exhibits and other events at the Newseum, visit newseum.org. The Smithsonian National Portrait Gallery (8th and F Streets, N.W.) is currently hosting “One Life: Martin Luther King Jr.,” an exhibition of portraits of MLK to celebrate the 50th anniversary of the March on Washington. The portraits are on display until June of next year. 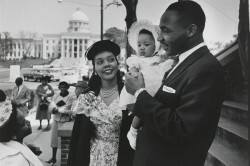 On Aug. 24th, the Portrait Gallery will host “Family Day” from 11:30 a.m.-3 p.m. to commemorate King. There will be music, tours of the MLK exhibition and fun activities the whole family can enjoy. The gallery has many other summer exhibitions, including the “Outwin Boochever Portrait Competition” through Feb. 2014, and “Mr. TIME: Portraits by Boris Chaliapin” through Jan. 2014. Admission to the National Portrait Gallery is free. For more information, visit npg.si.edu. The Phillips Collection (1600 21st St., N.W.) has four new exhibitions over the summer, including paintings by Cubist pioneer Georges Braque. The exhibit is titled, “Georges Braque and the Cubist Still Life, 1928-1945,” and will be on display until Sept. 1. 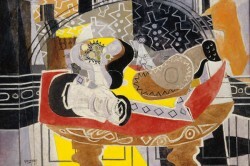 It is the first in-depth examination of Braque’s career leading up to and during World War II. Other temporary exhibitions at the Phillips this summer feature geometric panel paintings by Ellsworth Kelly, ink and acrylic landscapes by Sandra Cinto and Baroque-inspired paintings by Baltimore artist, Bernhard Hildebrandt. Tickets to the Phillips Collection are $12. For more information on events at the Phillips Collection, visit phillipscollection.org. The Corcoran Gallery of Art (500 17th St., N.W.) has two fascinating exhibits that recently opened this summer. “Ellen Harvey: The Alien’s Guide to the Ruins of Washington, D.C.” will be on display through Oct. 6. Harvey explores the ruins of a post-apocalyptic D.C. through extraterrestrial eyes, with full-scale mixed-media installations. “WAR/PHOTOGRAPHY: Images of Armed Conflict and its Aftermath,” will be at the Corcoran until Sept. 29. The exhibit chronicles how photography has informed our understanding of war all over the world. Images from conflicts as early as the Mexican-American War to present-day wars in Iraq and Afghanistan are covered. Admission to the Corcoran Gallery of Art is $10. For more details on these two exhibits and other events at the gallery, visit corcoran.org. The Smithsonian American Art Museum (8th and F Sts., N.W.) 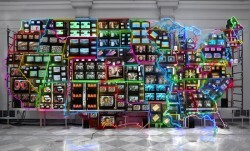 has an impressive collection of works in the summer exhibition, “Nam June Paik: Global Visionary.” The exhibit is on display through Aug. 11, and showcases Paik’s revolutionary use of television screens as a visual arts medium. Also on display through Jan. 5, 2014 is “A Democracy of Images,” a compilation of photographs from the museum’s permanent collection that document the evolution of American photography from early daguerreotypes to contemporary digital works. Admission to the Smithsonian American Art Museum is free. For more information, visit americanart.si.edu. The Smithsonian National Gallery of Art has a wide array of summer exhibits featuring artists from all over the world. Leaving the gallery soon on July 28th is “Edvard Munch: A 150th Anniversary Tribute.” The exhibit, which has been on display since May 19, showcases ominous paintings and prints by the hugely famous Norwegian artist. “Diaghilev and the Ballets Russes: When Art Danced with Music,” is on display at the National Gallery until Sept. 2. The exhibition features 130 original costumes, set designs, paintings, sculptures, prints, drawings and film clips from what is now regarded as the most innovative dance company of the 20th century. Admission to the National Gallery is free. For more details on the museum’s other exhibitions and events, visit nga.gov. The Galleries of Dupont Circle, which dot R Street west of Connecticut Ave., N.W., host joint first Friday openings from 6-8 p.m. each month. The next opening is Aug. 2. For more information, visit dupontcirclearts.blogspot.com.